“But they weren’t done both by the same man,” said Beef. “You mean that Greenbough didn’t murder Beecher?” I said incredulously. 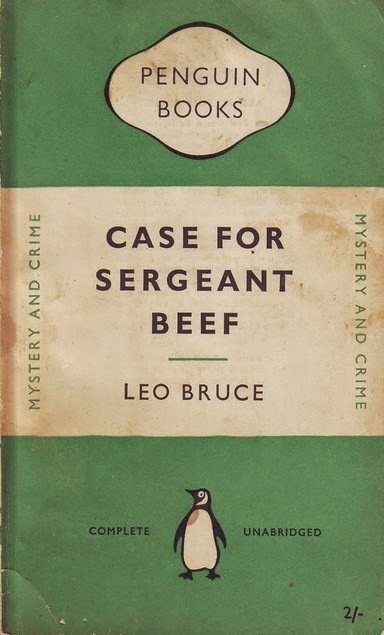 “Certainly he didn’t,” returned Beef. “Who did, then?” I asked. “Herbert Jones, of course,” said Beef quietly. Both Stute and I sat bolt upright in our chairs. Once again the two of us were silent, leaving the Sergeant to continue. “You know, Townsend,” he said, “what you want to do is keep your wits about you. Didn’t you remember the matron in Jones’ House telling us that he used to have a room in London in the holidays? And didn’t you notice that the dates which Rosa looked up for the times when Wilson was staying in her house always fell during the school holidays? And didn’t you remember that everyone at Penshurst said that the trouble with Jones was women? And that Rosa told us that her mother had turned Wilson out for the same reason? And didn’t you ever put two and two together? I don’t say, mind you, that it was more than circumstantial, but it would have been a very funny coincidence, if it was a coincidence at all. I thought of it as a possibility as soon as ever I heard the two stories, and by keeping my wits about me I soon proved it was true. I had to admit, somewhat sourly, that I did. “Well, there you are,” said Beef, “and he was turned out for it. He might never have heard any more about it if someone had not happened to give young Beecher a lot of old numbers of the Illustrated Sporting and Dramatic News, in which there was a series of articles about the great public schools. 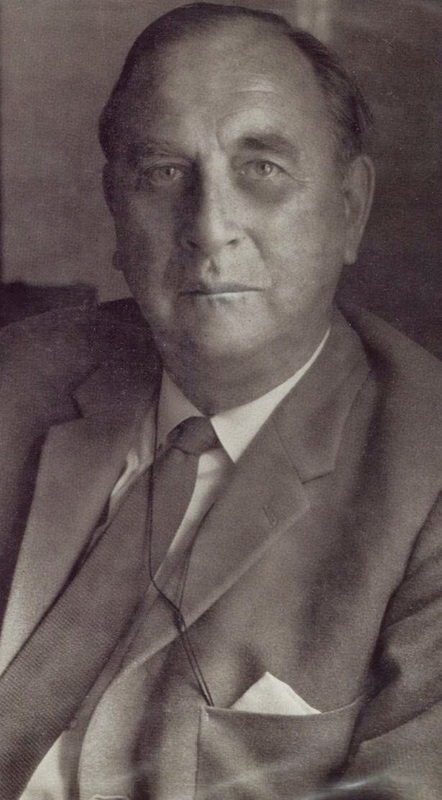 Young Beecher looks them through, and the first thing his eye lights on is a photograph of Herbert Jones, who used to be a great cricketer, and is new, he learns, a modern language master and housemaster. What would be the first thing that jumps to the mind of a lad like Beecher? We know that he is associating with criminals, and we know the kind of life he’s leading. I didn’t need to go and see those two boxing friends of his to be sure of what kind of a crowd he was mixed up in. Why, it was money for jam! Blackmail, of course,” ended Beef triumphantly. “Besides, we knew he was being blackmailed. Didn’t the matron see that letter? ‘I may only be a boy,’ it said, and Townsend thought it was one of the boys in the school. He’s got a great opinion of the public schools, has Townsend, and talks about their tradition, but he is quite ready to believe that one of the lads is blackmailing his housemaster. Well, there you have it. Young Beecher has found out who that Mr. Wilson was, and he’s getting money out of him to keep quiet about what he’s been up to in the holidays. 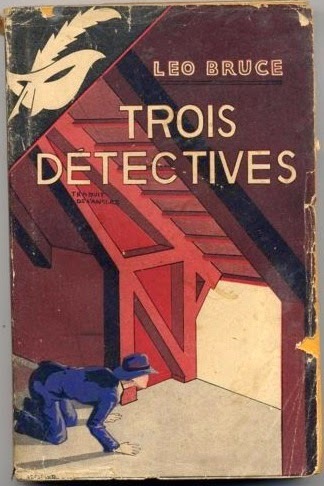 “Then comes the first murder, and Jones sees how it’s done. ‘Ah,’ he thinks to himself, ‘easy, eh? I could be rid of that young devil as simple as what somebody’s been rid of this one.’ He knows the police have set it down as suicide in Foulkes’ case, so he doesn’t see why, if he goes about it the same way, they shouldn’t do the same over Beecher. And if he can pull it off he is free of these continual demands on his pocket. “You could see for yourself he was half out of his mind with drink and everything, and in his crazy brain the plan forms. He knows Beecher’s habits, because he’s lived in his house. Beecher won’t be surprised to see him, because he’s only just written for more money, so that if Jones goes up to London and pretends that he’s going to hand the money over he can get Beecher to take him to the gymnasium just as Foulkes took Greenbough. “What was the other clue?” I asked. “But that was in Spanish,” I pointed out. I did not speak for a moment, but sat watching the boyish pleasure in the Sergeant’s face. “But you said that was the key of the gymnasium,” I ventured. “I must congratulate you again,” he said. And he shouted to Mrs. Beef to join us for a glass of beer. 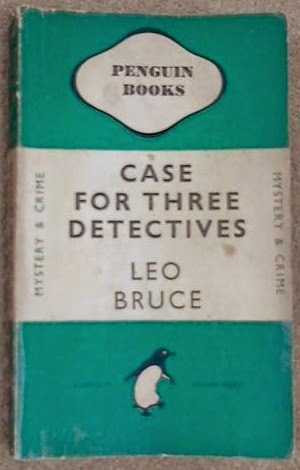 RUPERT CROFT-COOKE (1903-1979), a rather prolific author, wrote two series of detective novels under the pseudonym Leo Bruce: one featured Sergeant Beef, a (serving and then retired) police officer; tother featured Carolus Deene, the senior history master of the fictional Queen’s School, Newminster. 23. 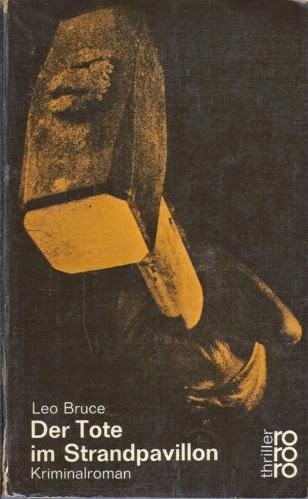 Death of a Bovver Boy (1974). 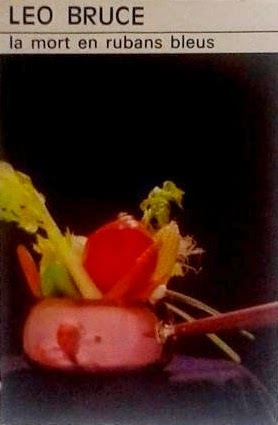 * also titled Such Is Death. 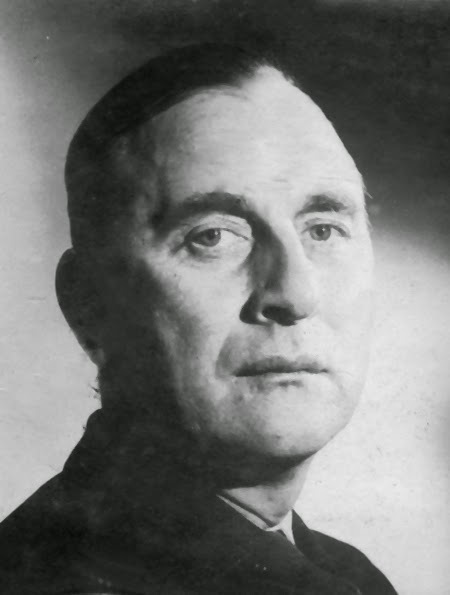 As Leo Bruce, Croft-Cooke also wrote thirty or so short mystery stories, mostly for London’s Evening Standard, whereof a third feature Sergeant Beef. from The Tatler and Bystander (1957), “Beef for Christmas”. — Our Jubilee Is Death. 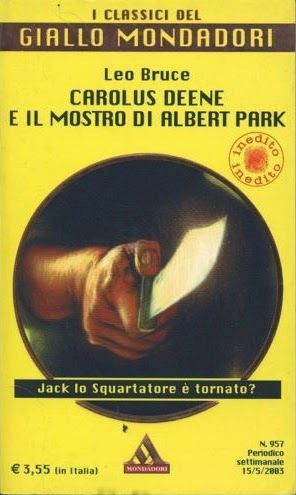 — Case with Four Clowns. — Death by the Lake. 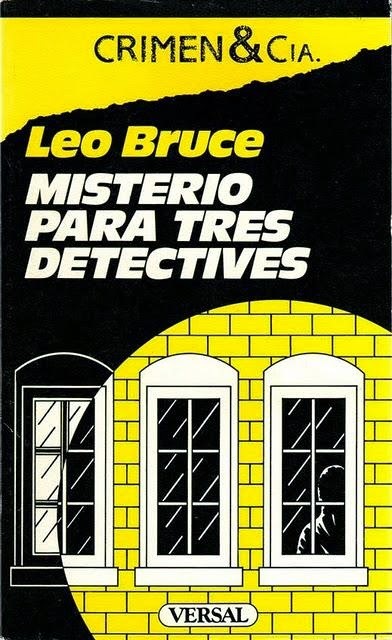 — Case for Three Detectives. — Death at Hallows End. 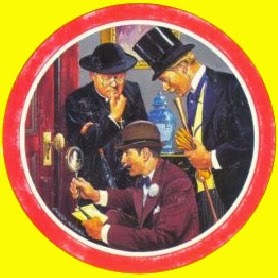 The morning after the mystifying murder of Dr. Thurston’s wife in a locked room, three famous, eccentric, amateur sleuths arrive to investigate the baffling crime and, of course, ultimately, to provide ingenious solutions therefor; meanwhile, stolid Sergeant Willam Beef, the village policeman, considers the case a simple one. A young man bursts into the pub wherein Sgt. Beef is playing darts, loudly confesses to having committed a murder, drinks poison, dies, and leaves everyone wondering whom he killed and where the body might be. Feeling unappreciated by Scotland Yard, Sgt. 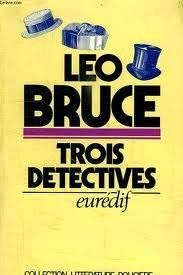 Beef quits the police force and becomes a private investigator in London; he is hired to prove that a young man’s brother, a prime suspect, is not a murderer. Sgt. 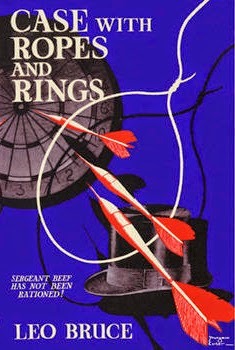 Beef travels with a small circus, hoping to prevent a murder therein, after he receives a letter from his nephew revealing a fortune-teller’s dire prophecy. Sgt. Beef believes that the younger son of the Marquess of Edenbridge, found hanging in his exclusive school’s gymnasium, did not commit suicide. 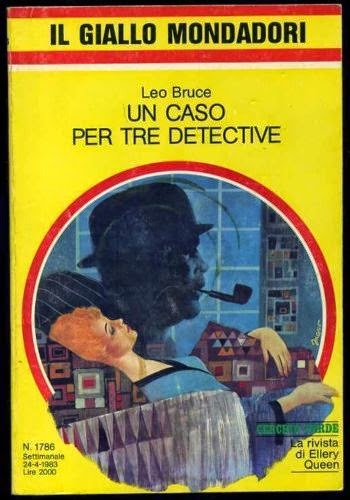 A retired watchmaker plans a perfect, motiveless (and therefore, he gloats, unsolvable) murder, but after the murder is committed Sgt. Beef plans to identify the killer. Sgt. 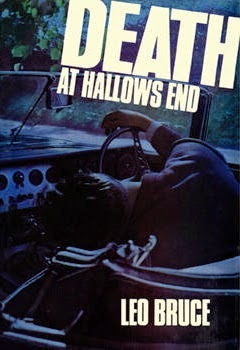 Beef is enlisted by Lionel Townsend, his Watson, or Boswell (and also—as an heir to a substantial legacy—a suspect), to find his aunt’s killer. Sgt. 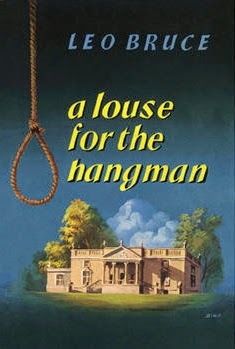 Beef is hired to discover who killed a rich and elderly recluse—a cuckold or even, perhaps, a wittol—in his country house with, apparently, a croquet mallet. Works by Leo Bruce are copyright © 1936 – 1974. Ethereal theme. Theme images by enjoynz. Powered by Blogger.